It was back in the summer of 2011 when Christians were called to attend a special prayer rally at the Reliant Centre in Houston, Texas. Many readers may remember that the rally generated a lot of controversy and ridicule, mainly because of the purpose of the event, and the organizer. 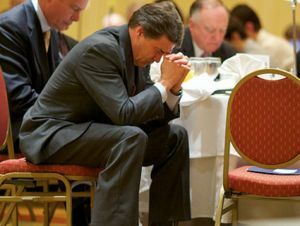 The purpose was to pray for economic recovery, and the organizer was the Lone Star State`s colorful political leader, 63 year old Rick Perry. The prayers of some 30,000 people who were in attendance that day have largely gone ignored, with the American economy limping on like an old man with a limp going for a slow stroll in a park which has many things worth stopping to look at. But Governor (Future President?) Perry had always remained hopeful of the prayers being answered, and he was finally able to announce that there had been a sign of recovery, albeit across the Pacific, and then only a small sign at that. Perry`s comments came at a time when the Japanese economy is still far from out of the woods. Indeed, the yen is close to collapsing in on itself in the manner of an old building being demolished by an expert demolition team. 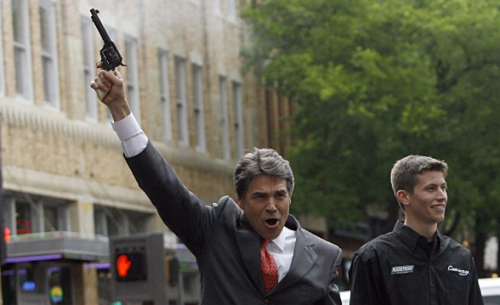 Nobody wants to see this happen, especially Governor Perry who would, given his assertion that his prayers have helped the Japanese economy, look like a clown. Not a funny clown either. He’d look like a clown desperately tripping over a rope for a laugh. Or a clown with whom the kiddies would be too scared to have a photo taken.